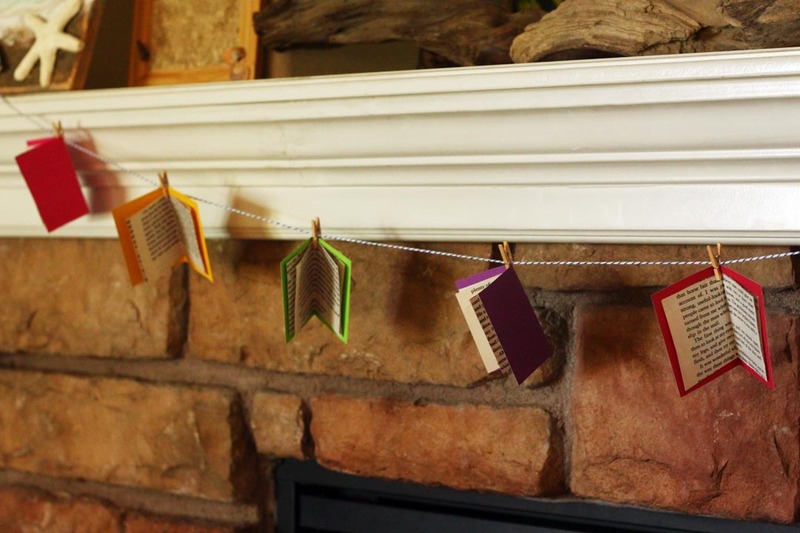 This cute little garland would make a fun decoration for your bookshelf, or how about a classroom bulletin board, or library? To begin, decide how big you want your books to be, and measure and mark your rectangles with your ruler and pencil. Next, cut your cardstock into rectangles for the all the covers. 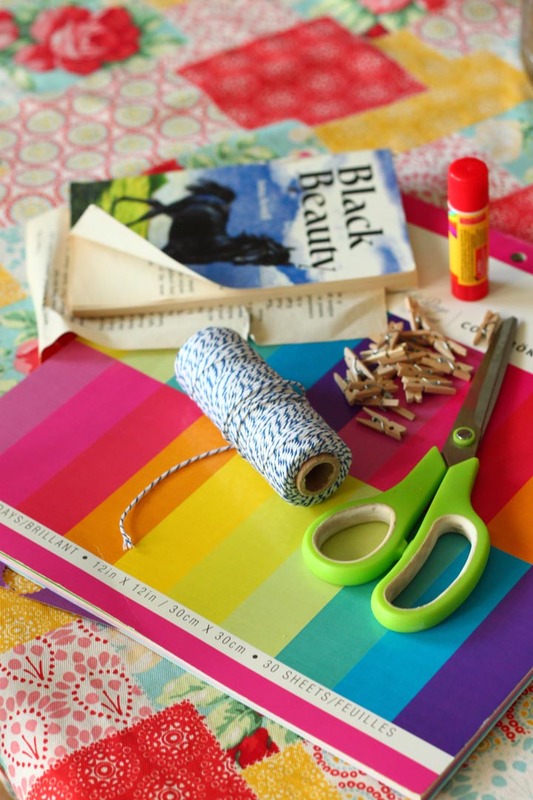 Next, remove pages from your old book, and cut rectangles that are about 1/4-inch smaller than your cardstock covers–you’ll need two inner pages for each book. I suggest cutting the inner rectangles in such a way that the printed text of the book runs horizontally across the pages, rather than vertically, like a real book. 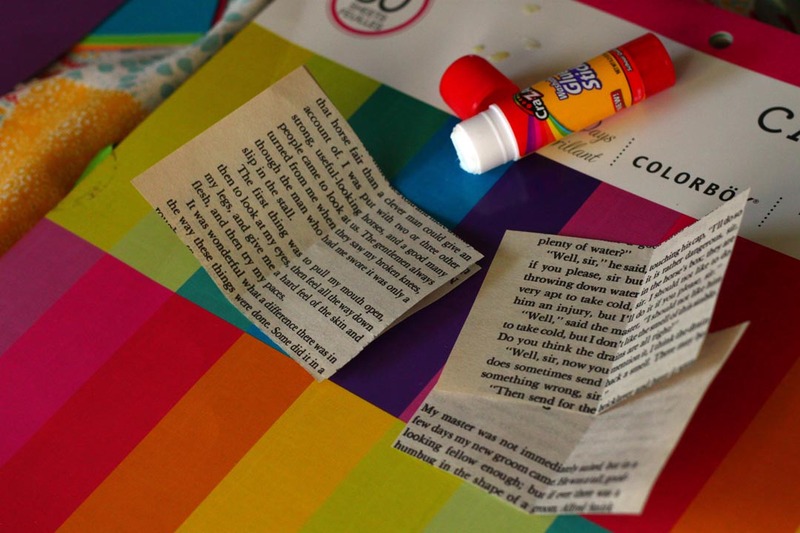 Fold all the cover pieces in half, and fold all of the inner pages in half. 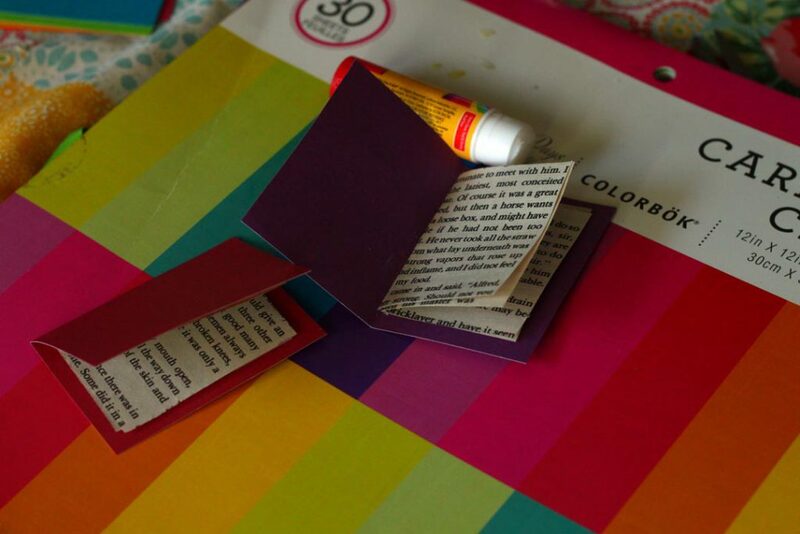 Run a line of glue down the center crease of one of the inner pages, and then adhere the second page on top. Repeat for all of your books. 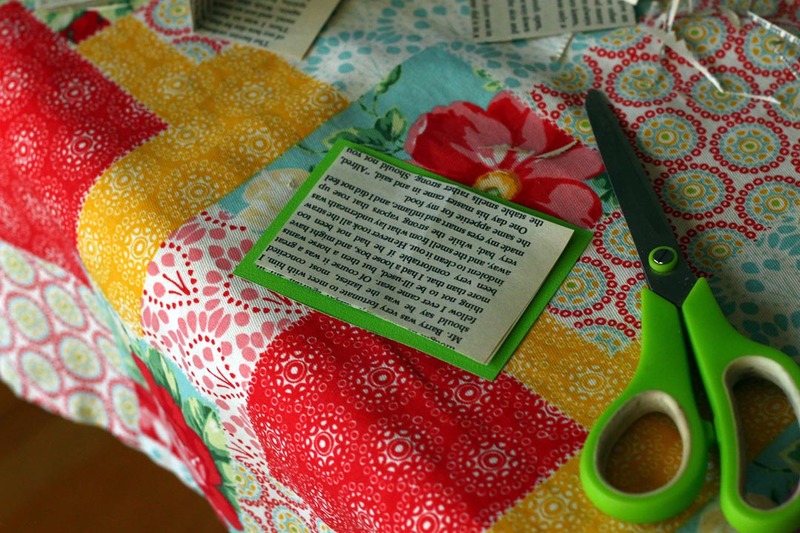 Fold the inner pages you’ve glued together in half on the creases to help them stick–let dry. Apply glue to the “spine” of your inner book pages, and place the glued edge onto the inner crease of the cover rectangle to assemble your book. 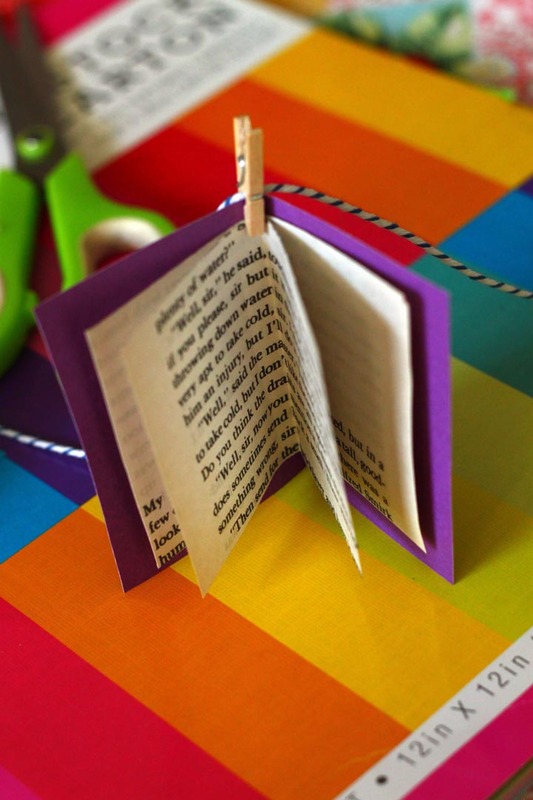 Close the entire book you just glued together, and gently run your fingers along the folded edge to help the inner pages adhere to the cover. Let dry. Gently open your books, bend the covers back a bit, and fluff the pages. Use a small clothespin in the center of the book to attach the books to your piece of twine. 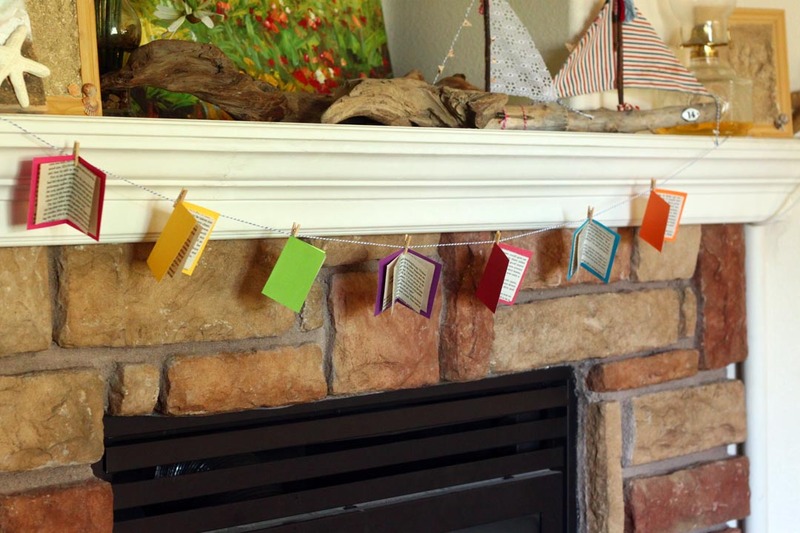 Evenly space your books along the twine to create your garland. This entry was posted in Family Crafts and tagged books garland, kids, Paper Crafts on September 4, 2018 by Michelle.